Emcee Bill Griffeth, left, and CSUN Alumni Association President Carlos Fuentes watched as Matsumoto delivered her acceptance speech. Photo by David J. Hawkins. Taylor honored his mother during his speech. Photo by Lee Choo. 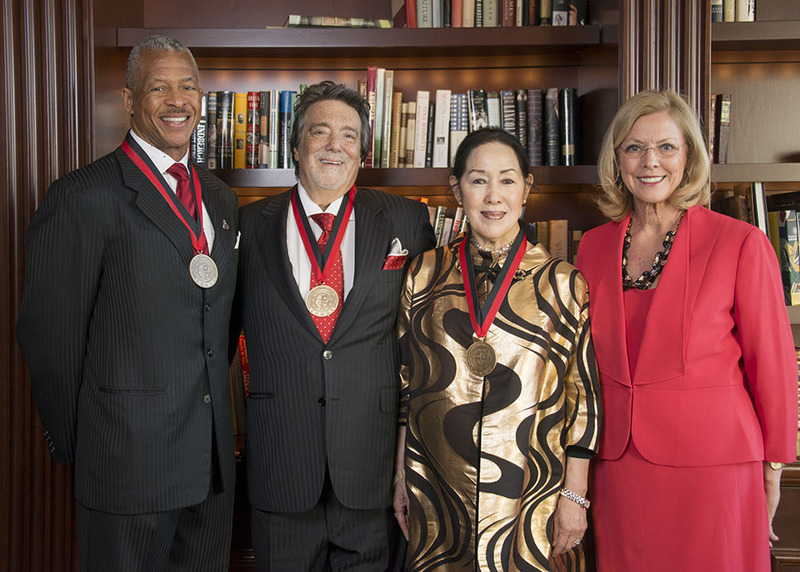 Three influential California State University, Northridge alumni took the stage separately at the Four Seasons Hotel Westlake Village on April 16 to give acceptance speeches after receiving one of the university’s highest honors — the Distinguished Alumni Award. Each speech delivered its own distinctive feel. Opera singer and educator Shigemi Matsumoto’s speech was inspirational. Urban developer and philanthropist James Ring’s was emotional. And financial industry leader and social justice advocate Robert D. Taylor’s was powerful. 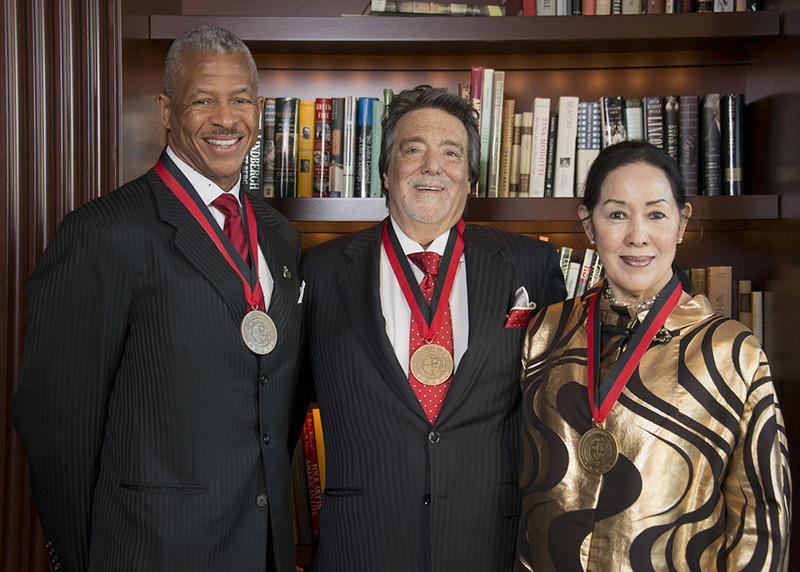 CSUN’s 18th-annual Distinguished Alumni Awards was a celebration of achievement and recognition of three Matadors who have brought honor to the university through their work, service and dedication. 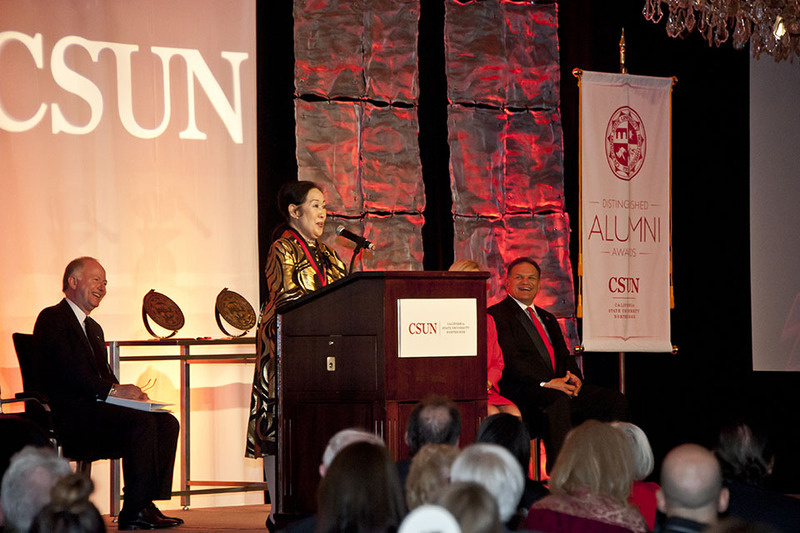 The first honoree of the evening was Matsumoto ’68 (Music), who acknowledged her mother in her speech. Matsumoto wore a gold coat that her mother made for her some 40 years ago. The opera singer, who performed in front of thousands throughout the world and has impacted numerous students as an educator at CSU Long Beach, USC and through private lessons at her home in Northridge, detailed her life story to the nearly 500 people in attendance at the event. She spoke of how her parents, survivors of a Japanese internment camp, adopted her at three months old and helped lift her to great heights through their own sacrifices. 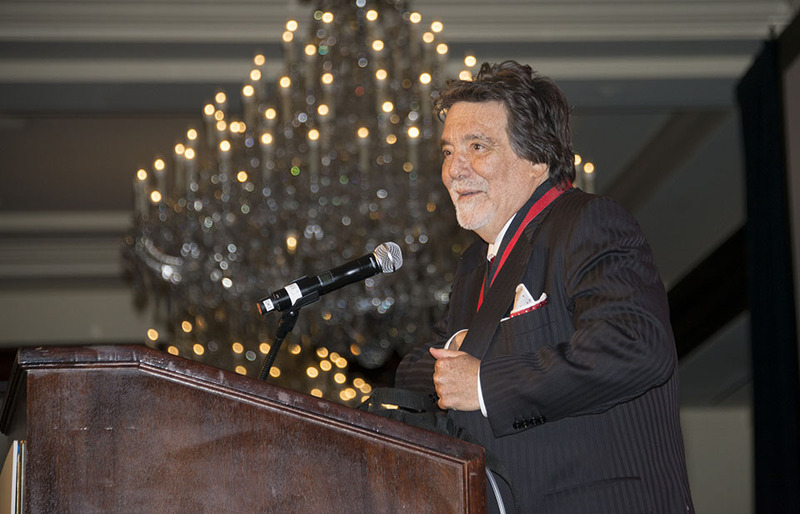 Ring ’70 (Psychology), ’72 (Urban Studies), who has been one of the most successful urban developers in the greater Los Angeles area and a hero to many — including those in the Department of Urban Studies and Planning at CSUN — brought tears to many eyes with his speech and determination. Ring, who was in the hospital battling an illness a week prior to the event, needed the assistance of a walker to get to the podium to deliver his address. He said he wasn’t going to miss this event. When Ring reached the microphone, he spoke with great strength and pride. Ring, who created the James H. Ring Professorship in Urban Studies and Planning and the James H. Ring Urban Studies Scholarship through a generous gift, announced at the ceremony that he also would create a scholarship for graduate students. Then, Griffeth commented that Taylor had a tough act to follow. But Taylor, who has been a leader throughout his career as a private equity investor, financial leader and champion for social justice, spoke with such conviction that Griffeth suggested afterward that Taylor should run for office and that he would vote for him. 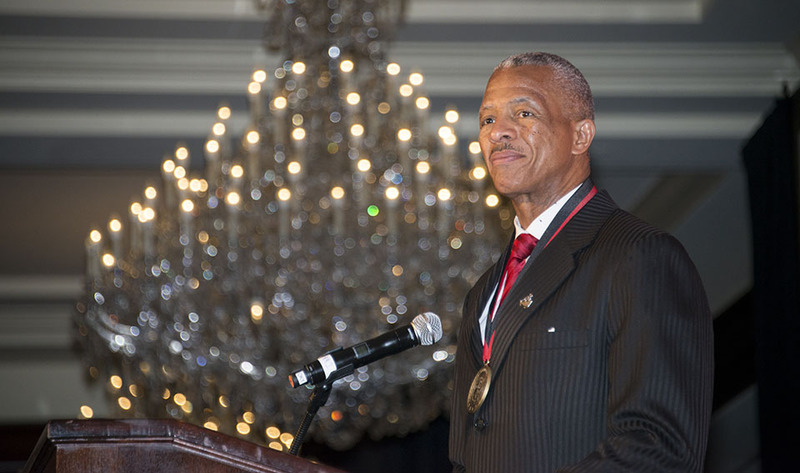 Taylor ’82 (Engineering), who was a central figure in restoring ravaged communities after the 1992 LA riots — through his leadership in then-Mayor Tom Bradley’s Rebuild LA initiative — credited his mother, among others, for motivating him to become the person he is. On this night, all three honorees were celebrated for living their dreams — and helping so many live theirs as well.